In Rajasthan, originally people started to wear a turban like cloth to keep their head cool. Later on it go on becoming the symbol of status. People of different caste and of different regions used to wear different type of turbans according to their convenience and local factors at different occasions. You can identify an individual’s caste, creed , religion, region based on his “Paag” , and ”Style of wrapping”. The style of turban changes every 15 km. 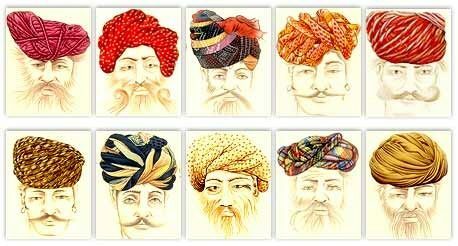 And there are more than 1000 kinds of turban types and their styles of wearing. 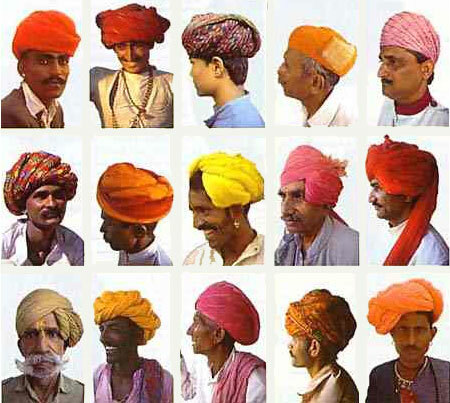 In Rajasthan turbans are according to Different Communities and Different Occasions.